Business owners need to have a clear understanding of the regulations and standards surrounding emergency lighting. The standards and regulations have been put in place to ensure employers provide their staff and clients with a safe environment. AS and AS/NZS 2293 parts 1, 2 and 3 outline design and installation requirements, maintenance requirements as well as performance requirements. The requirements outlined in these standards are the minimum requirements and failure to comply can land businesses in legal and financial strife. Emergency lighting is a crucial aspect of workplace safety. It allows staff and clients to find safe pathways to exit points during emergencies. Do I Need to Get My Emergency Lighting Tested? AS/NZS2293 Part 2 1995 stipulates that emergency lighting must be tested, inspected and maintained. There are significant penalties attached to not getting your emergency lighting tested and inspected according to these regulations and it is the responsibility of the business owner to be aware of inspection and maintenance schedules and ensure they are compliant. Business need to find electricians that have a thorough understanding of emergency lighting regulations. Emergency lighting needs to be designed and installed in a way that satisfies Occupational Health and Safety regulations. If emergency lighting isn’t installed correctly it won’t be able to perform the function that it was designed for and you’ll be forced to start all over again. So, don’t just go with the cheapest provider. Do your homework and find an electrician that knows the regulations and understands the importance of compliance. A duration test to see how the emergency exit sign performs through a series of charge and discharge cycles at low and high temperatures. A photometric test to ensure the light output is sufficient for a particular space. The other key test that your emergency lighting must pass is its ability to stay illuminated for at least 90-minutes on battery power. 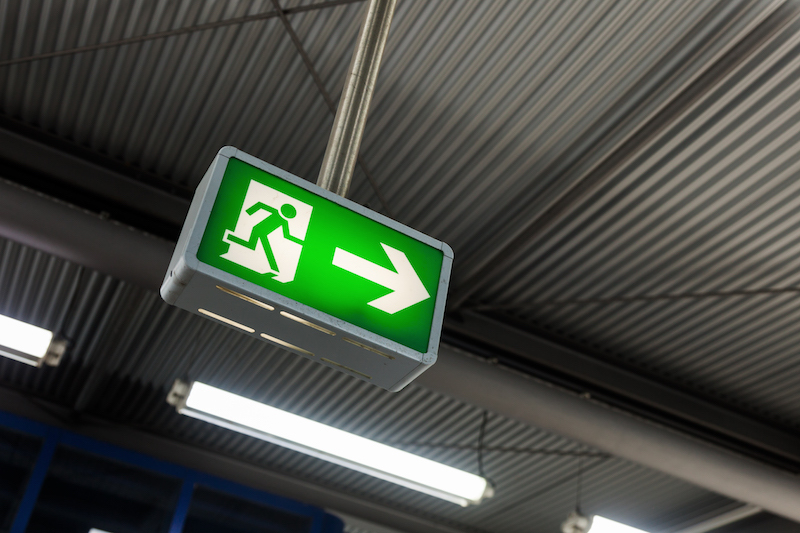 This test is absolutely crucial because during an emergency, such as a fire, the workplace may lose power and you need your emergency lighting to be able to run off a battery and help everyone in the building to find the exit safely. This test must be performed every six months. Providing documentation of all tests to ensure the business owner is aware of when testing needs to be arranged. This documentation can also be used to prove compliance to authorities. Can I Conduct My Own Testing? Business owners should take it upon themselves to carry out inspections on their emergency lighting but they need to contract a professional emergency light tester to ensure their emergency lighting is capable of performing its vital function. Emergency lighting can and will save lives which is why it’s so important for business owners to find a quality provider of emergency light testing. By getting your emergency lighting professionally tested you will actually save money in the long run by getting small issues with your lighting addressed so you don’t have to bear the cost of a full replacement. It will also give you the peace of mind in knowing that you have fulfilled your duty to provide your employees and clients with a safe workplace. So, don’t try and cut costs by doing the testing yourself, there is too much at stake for you to be satisfied with anything but a full professional inspection.